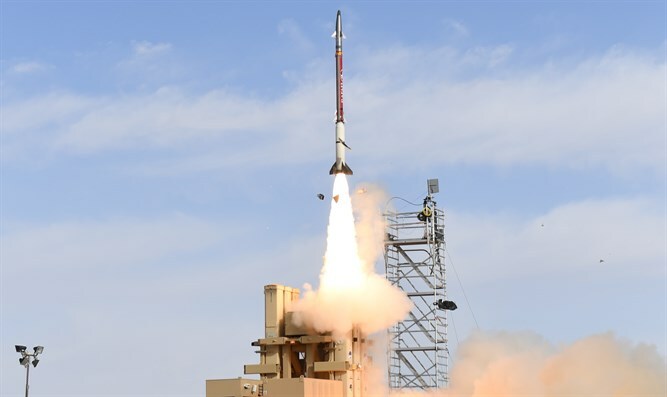 Defense Ministry 'Homa' Department and US MDA successfully complete interception tests of Magic Wand weapon system advanced version. The Defense Ministry, together with the US Missile Defense Agency (MDA), successfully completed a series of interception tests for the Magic Wand weapon system, also called "David's Sling". The success of the series constitutes an important milestone in the State of Israel's operational ability to defend itself against existing and future threats in the arena. The experiments were carried out by Rafael at a proving ground in the south of the country. In the experimental series, advanced capabilities of the Magic Wand system were tested in a new version developed for a number of scenarios to simulate future threats the system may face during a confrontation. Prime Minister and Defense Minister Binyamin Netanyahu said, "I welcome the successful Magic Wand series, which is in addition to the successful test we recently completed with Arrow 3. Israel continues to be a global pioneer in developing missile defense systems. I'd like to express our special appreciation to our ally and our partner the United States in promoting this important security project." The Magic Wand weapon system is a central component of a multi-tiered defense system that the Defense Ministry leads through the "Homa" administration and is based on four operational defense layers: The Iron Dome system, Magic Wand, Arrow 2, and Arrow 3.